thought influx: Thoughts on Darren Aronofsky's Noah. Thoughts on Darren Aronofsky's Noah. One of the interesting things I’ve noticed since watching Noah is the amount of conversations I’ve had with Christians who are either confused by the extra-biblical elements of the film (e.g. the rock monsters) or think it diverts from the Biblical account too much. As someone who both enjoyed the film and is interested in how the creation accounts have been interpreted throughout the ages, I thought I’d weigh in on this to in order to help some of those who are confused. But this brings up the interesting question of how our cultural presuppositions shape our view of Biblical stories. I, like many other evangelicals, was raised with the Sunday school flannelgraph version of the story in which the ark is portrayed as a nice little house boat with cute animals sticking their heads out of the various windows and Noah smiling on proudly (and a conspicuous lack of floating corpses surrounding the boat). Noah on the other hand has Noah having nightmares about drowning in a sea of corpses. The inhabitants of the ark have to listen to the screams of those who are struggling against the waves and are being dashed against the rocks. Noah is portrayed as a man deeply conflicted and who struggles to make sense of what’s happening to him. In some parts he starts to mistake his own will for God’s. It really is quite different from the Sunday school depiction. Or take the Sunday school depictions of the birth of Christ which often involve Mary riding a donkey to a nice wooden stable where Jesus lies in a cosy wooden manger while three kings come to present gifts to them. The problem is that none of these images are particularly biblical for various reasons but a lot of people believe they are. In short, they’re cultural artefacts imposed on the biblical text by popular Western imaginings. Even period films beloved by evangelicals such as Passion of the Christ insert stuff into the story that was never in the biblical text. Does this mean we should do away with all cultural depictions of biblical stories that aren’t 100% faithful to the text (e.g. nativity scenes, films)? No, but we should recognise them for what they are: cultural depictions and not scripture. In the end, if you want a biblical account of the Noah story that’s what the biblical text is there for. Don’t take your theology from action movies. But there’s nothing wrong with allowing a film to prompt you to ask deeper questions (which I think this film should do). 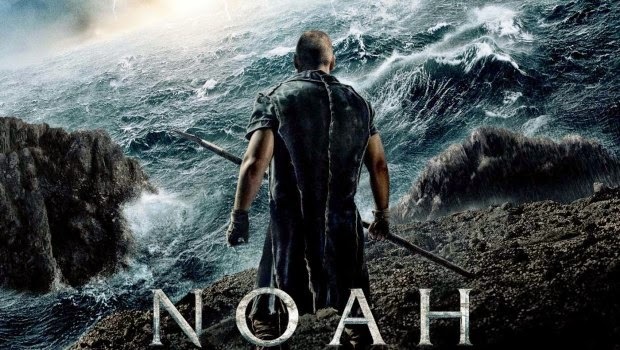 And funnily enough, if there is one area that the Noah movie is quite faithful it’s in its theological themes. There is a repeated affirmation of God as the creator and sustainer of all creation. There is a repeated affirmation that creation is good. There is a repeated affirmation of the importance of the importance of responsible care for creation. There is a repeated affirmation that humans rebelled against God and are fallen creatures. There is a repeated affirmation that humans are made in the image of God. In the flood we see God’s judgement of the wicked. And in the film’s climax we see that God is merciful and hasn’t given up on humanity. That doesn’t mean I don’t have problems with some of the ways the film depicts the Biblical text. For one, I wish they had been a bit more explicit with explaining the significance of the rainbow at the end of the film. But in the end I take my theology from the Bible, not movies. Could the film be a Midrashic(?) interpretation of the Noahic flood by Aronofsky and Handel, therefore sticking to the ancient Jewish method of storytelling? That is how I chose to view it, as basically a modern cinematic Midrash. Another feature of the Midrash was that it would sometimes explore the psychological mind frame of the Biblical characters. We see this feature in the Noah movie as Aronofsky explores what it must have been like to be alive on the ark while everyone else outside dies.